During our annual celebration of Christmas Party 2017, Hartmann Crew Consultants held – as usual during previous years – a charity collection. We were collecting founds for purchasing a specialized intensive care bed for children. Bed - second one already – will be placed in children hospital Polanki (Szpital Dziecięcy Polanki im. 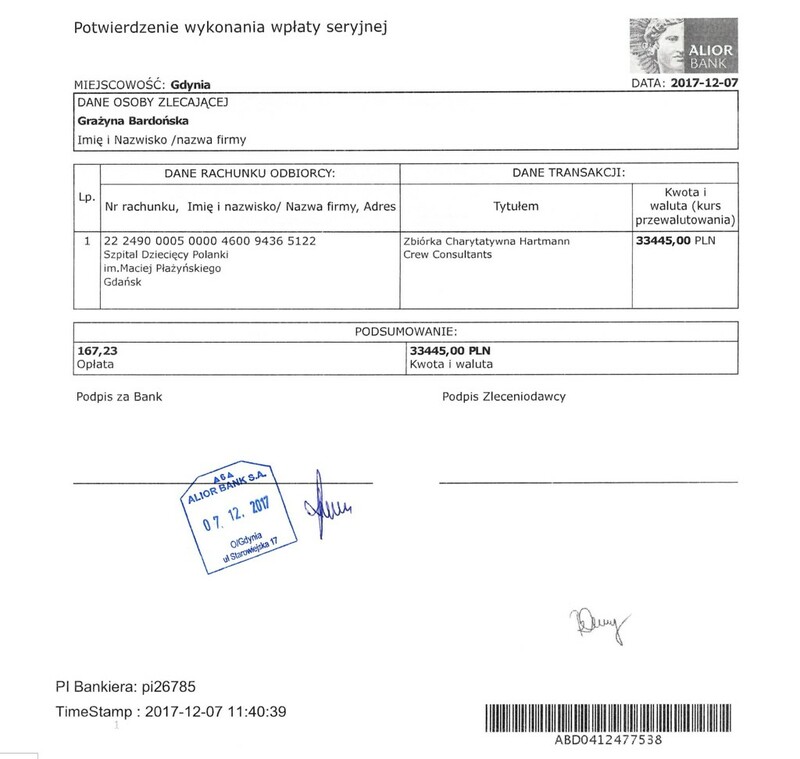 Macieja Płażyńskiego w Gdańsku ). The first bed, purchased after our collection in the year 2015 was extremely busy as from first day (first patient was a girl drowning in the lake). We hope the second bed will strength live saving capabilities of this great children’s hospital.